A free-for-all at Hollywood Forever. 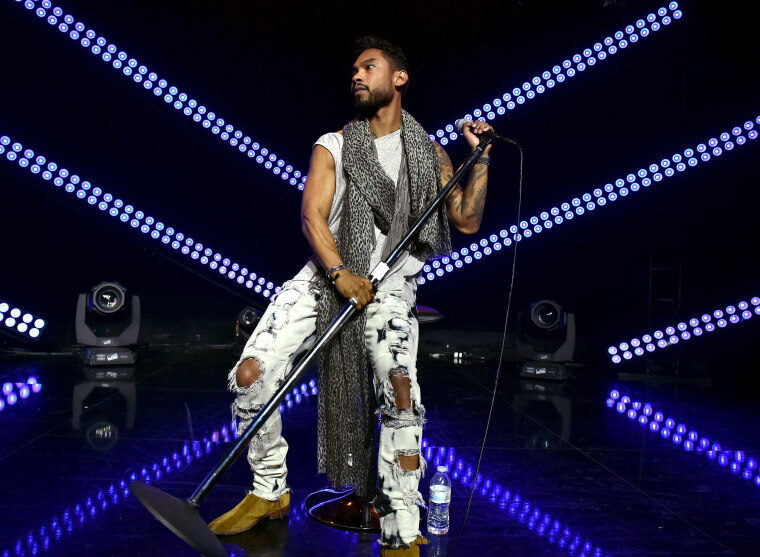 Miguel is the serial jean slasher disguised as a R&B god, and he kept his cover alive last night for his show at Hollywood with a stream of huge guests. Kendrick Lamar came out to perform should-be smash "Alright," A$AP Rocky did "Everyday," Snoop Dogg came through on a classic tip with "Drop It Like It's Hot" and Kurupt joined Miguel for their collaboration "N.W.A." It looks like a blast, even if Miguel's reign of denim terror shows no signs of stopping. Watch some clips below via Pitchfork.